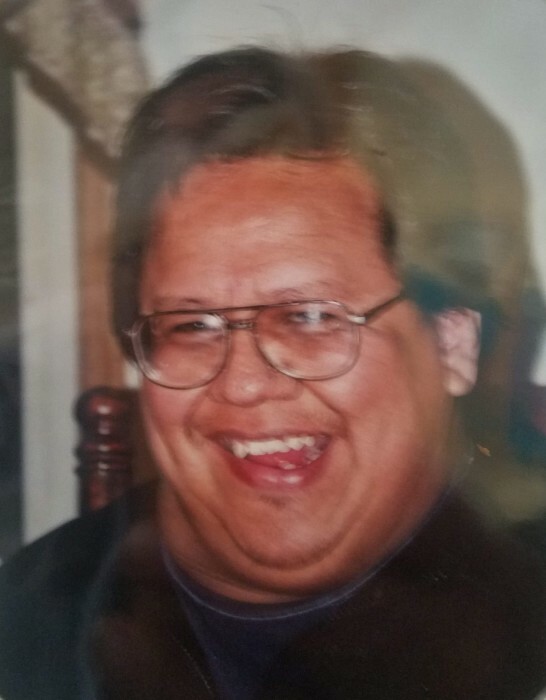 David Randy Jones, age 54, “Zhaawaashkang” of the Bizhew (Lynx) Clan and of Cloquet, Minnesota began his journey to the spirit world on Sunday, February 10, 2019. He was born in Brainerd, MN on July 10, 1964 to Louis Jones and Darlene (Morrow) Sanders. David Randy Jones “Zhaawaashang” was a member of the Leech Lake Band of Ojibwe. He attended grades K-11 in the Bemidji School District. Eventually moving to Duluth, he graduated from Central High School in 1983. He enjoyed a long employment with the Patty Cake Shop and Advanstar Communications before a brain injury changed his path in life. During his active years, he volunteered his time with the Duluth Intergroup. His many hobbies were biking, hiking, electronics and traveling West. David had great interest in astronomy, popular mechanics and science fiction. His greatest joy in life was being there as a pillar of support for his nephews, whom he helped to raise. He was the best Uncle. David was a great person, good son and the best little brother ever. His spirit lives on in those who loved him. Fly high and be free, Davie. Your hard work and dedication have been fulfilled in this world. Family that welcomes David to the spirit world are his parents; Darlene (Morrow) Sanders and Louis Jones, sister; Audrey Louise Jones, brother; Gregory Lewis Jones, baby brother; Thomas Jones, nephew; Stacy Potter, and numerous other family members who traveled before from the Leech Lake and Mille Lacs Reservations. Those left behind to cherish his memory are his siblings; Debra (Russell) Northrup of Sawyer, Michael Jones of Duluth, Geoffrey Jones of Duluth, Darrell Jones of Duluth, Jason Merrill of the St. Croix Reservation and Luann Merrill of the St. Croix Reservation, aunts; Leona Shaugobay, Janice Brown and Barbara Shipley, uncles; Max and Jack Morrow, nieces; Naomi Northrup and Sheila Cree, nephews; Richard Potter, Jerron Jones, Rory Northrup, Cameron Jones, Sr., Daniel Bizhew Jones and Austin Jones, many great nieces, nephews, cousins and numerous friends through work and sobriety. An overnight wake for David will begin at 5:00 p.m., Wednesday, February 13th and continue until his 10:00 a.m. traditional service on Thursday, February 14th. Location: Sugar Point Community Center-Sugar Point, MN. The family has chosen Rick DeFoe as Spiritual Advisor. Pallbearers for David will be Cameron Jones, Sr., Daniel Bizhew Jones, Austin Jones, Jon Wright, Caide Northrup and Julius Northrup. Interment will be held in the Fairview Cemetery at Federal Dam, MN immediately following his services.